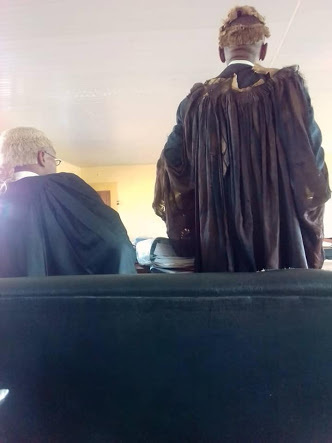 According to a concerned citizen who took to social media to reveal his displeasure with the lawyer’s torn and raggedy wig and gown, this is not the first time the man (lawyer) has appeared in court dressed like that. “This is what a very Senior Lawyer wore to court .Today was not the first day I saw him like this.I am bothered as to why a senior lawyer will be comfortable to wear a raggy wig and gown to court.This beats me”. But some have said it could be the lawyer is protesting against ‘something’.